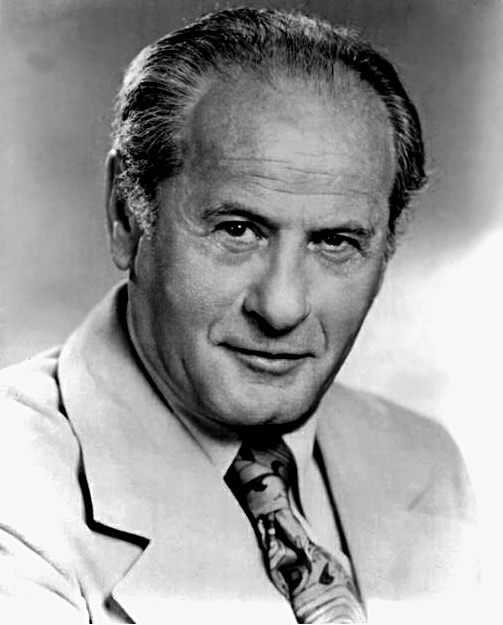 In nearly a century of living, the vitality of Eli Wallach survived through many different periods of film and filmmaking, his passion undiminished by age, the gleam in his eye ever ready for any opportunity. He was a character actor, and that meant that he was at the mercy of what he was given. Over the course of 167 credits (his last feature was Oliver Stone’s "Wall Street: Money Never Sleeps" in 2010), Wallach was generally typecast as a man of secret and villainous intention, a gentle-seeming storeowner or relative who gradually reveals a wicked vendetta, and this vein of work went all the way back to what must be his very best screen credit, Silva Vacarro in Elia Kazan’s "Baby Doll" (1956), which was based on a comic Tennessee Williams source. Wallach was born in Red Hook, Brooklyn, the son of Jewish immigrants from Poland. He graduated from the University of Texas in 1936 with a degree in history, and he also took a master of arts degree in education from the City College of New York. All of this education was perhaps a way of hedging his bets in case acting didn’t work out, but Wallach was drawn to the theater and to the earliest version of the Method in America when he studied at the Neighborhood Playhouse. During World War II, Wallach served in Hawaii as a staff sergeant in a military hospital. When he returned to New York, Wallach attended classes at the Actors Studio and married Anne Jackson, a solid and earthy Irish-American actress with whom he would work for decades to come, spending nearly seventy years together in life and on stage and on screen. Wallach began a notable stage career, touring with Katharine Cornell in "Antony and Cleopatra" and winning a Tony opposite Maureen Stapleton in Tennessee Williams’s "The Rose Tattoo" in 1951 on Broadway (a role that went to Burt Lancaster in the 1955 film). It was because he was cast in Williams’s experimental "Camino Real" that Wallach declined playing Maggio in "From Here to Eternity" (1953), a role that re-established Frank Sinatra and won Sinatra an Oscar. But Wallach was loyal to the stage and particularly to Williams, and that loyalty finally paid off for his film debut in "Baby Doll." Wallach was already forty years old when he made "Baby Doll," and he seems like a man of much experience. His Silva Vacarro is a Sicilian who takes vengeance on Archie Lee Meighan (Karl Malden), a man who burned down his cotton gin, by seducing Archie’s child bride Baby Doll (Carroll Baker). This seduction is so vivid and electric that you feel like you’re watching it happen in real time right in front of you: through Wallach’s patience and slow-burning skill, he makes you aware of the hotness of the day, the levels of Vacarro’s anger, and the spiteful pleasure he takes in bringing Baby Doll to full flower. When he decides to touch or stroke her, it is a momentous thing, like stars colliding and exploding. Much credit for this seduction sequence must go to Kazan for controlling it, to Williams for writing it so sensitively, and to Baker for allowing herself to be so open and vulnerable, but it is Wallach who must take full control, and he takes it intensely and rapaciously. It was the first work he did on screen, and it is also the finest. After that promising debut, Wallach still worked a lot on stage, often with Jackson, but he also settled into his screen career as a bad guy, most notably in Sergio Leone’s "The Good, the Bad and the Ugly" (1966) with Clint Eastwood, where he played "the Ugly." If they wanted broad and cartoonish villainy, Wallach was more than happy to serve that up. He did a lot of television, from early anthology series in the 1950s to Mr. Freeze on "Batman" in the 1960s. He was a working actor, and so he worked and worked, bringing some feeling and distinction to whatever was offered to him, all the way up to "Mystic River" (2003) for Eastwood. It might be said that he had his best opportunities on stage, and that extends to his work in "Baby Doll," which is unusually theatrical in its sense of intimacy, immediacy and exposure. Wallach deserves to be remembered for the entirety of his long and varied career, for his stamina, for his marriage to Jackson and their beloved status in the New York theater world, but most of all for his Silva Vacarro in "Baby Doll," a man who plays the game of seduction like a large cat with a sweet little bird in its paw, patiently biding his time before he inserts his claws.